Michele is the Agency Risk Manager for Bouchard Insurance. She has extensive experience in the insurance industry on both the company and agency sides. 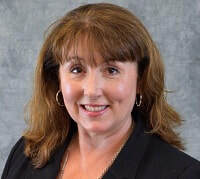 She serves on the Nominating Committee of the CPCU Society, the CPCU Agent & Broker Interest Group, the FAIA Workforce Development Board, and the SPC Corporate Training Advisory Board. She is committed to never-ending research & development for herself and others.